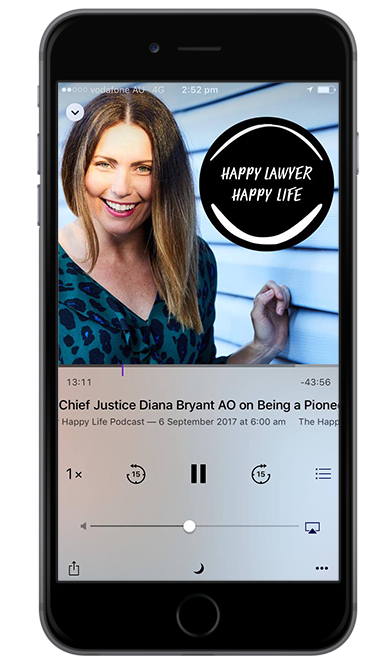 My guest in this week’s episode of the ‘Happy Lawyer Happy Life’ podcast is Barrister Tedd Jordan- family law expert, husband, father and, as I learned in this interview, sports trivia king of Australia! You might remember I interviewed Tedd’s brother, Brian way back in episode 11 of the show. It has taken me a little while to persuade Tedd to join my show but I am so glad he agreed in the end! I have for many years learned from Tedd’s calm and considered manner in the way he conducts his practice. He is an exceptional advocate but it has been his willingness to mentor, support and share his knowledge with those of us around him that I will always be grateful for. In recent years Tedd has explored mindfulness and meditation- initially this was to better manage the stress and challenges of life in the law but Tedd has come to find that these skills have enabled him to further hone his professional skills as a mediator and advocate. We can all learn from Tedd’s mindful, calm approach to law so plug in those headphones and perhaps throw a football around the backyard in celebration of the many sport references in this episode while you listen away!